SWARM's sixth annual Research Training Symposium was held on 12th March 2018. 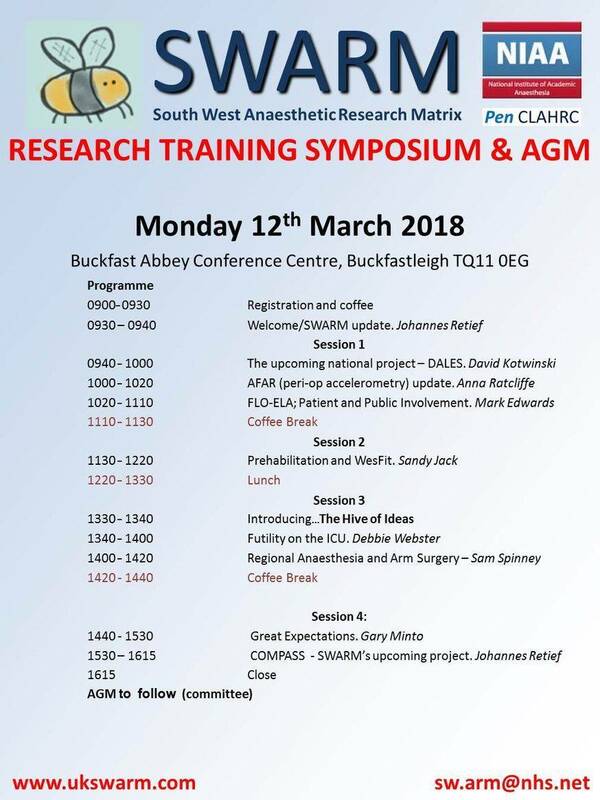 Following very positive feedback, the venue was once again Buckfast Abbey Conference Centre - this year organised by Dr Sam Spinney. We were honoured to welcome our external speakers Sandy Jack and Mark Edwards. The Hive of Ideas was won by Dr Debbie Webster who pitched an idea exploring perceptions of futility on Intensive Care Units - we look forward to this project's development. We'd like to thank SASWR for their continued support for the SWARM Researech Training Symposium.